I meet a lot of people in my line of work and as a direct result get asked a lot of questions! I have compiled a list of the 10 most common questions that I get asked. What's the best rate I can get? Your credit score plays a big part in the interest rate for which you will qualify, the riskier you appear as a borrower the higher your rate will be. The lowest rate isn't always the best rate! When opting for a lower interest rate you might give up other privileges such as pre-payment and porting your mortgage. What's the maximum mortgage amount for which I can qualify? To determine the amount which you will qualify, there are two calculations you'll need to complete. The first is your Gross Debt Service (GDS) ratio. GDS looks at your proposed new housing costs (mortgage payments, taxes, heating costs, and 50% of the condo/strata fees, if applicable. Generally this amount should not exceed 32% of your gross monthly income. Second, you will need to calculate your Total Debt Service (TDS) ratio. The TDS ratio measures your total debt obligations (including housing costs, loans, car payments, and credit card bills.) Your TDS should not exceed more than 42% of your gross monthly income. This is a good reason to talk to your mortgage broker and get pre-approved before going house shopping! How much money do I need for a down payment? The minimum down payment required is 5% of the purchase price of the home. In order to avoid paying mortgage default insurance, you need to have 20% down payment. 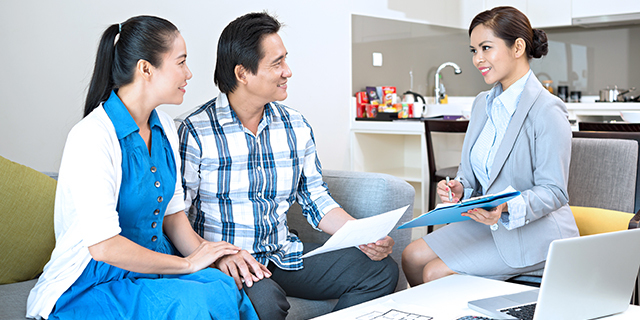 What will a lender look at when qualifying me for a mortgage?Most lenders look at five factors when determining whether you qualify for a mortgage: 1. Income, 2. Debts, 3. Employment History, 4. Credit History, 5. Value of the Property you want to purchase. A lender will consider how much of your total income you'll be spending on housing. This helps the lender to decide whether you can afford a house. The lender will then look at your debts including GDS & TDS. Lenders like to see a history of steady employment with no gaps in income in last two year period. Good credit is also very important in qualifying for a mortgage. The lender also wants to know that the house is worth the price you plan to pay. Should I go with a fixed or variable rate mortgage? This is depends on your personal risk tolerance. If you have a set budget that you can comfortably spend on your mortgage then it would be smart to lock into a fixed mortgage which will offer you predictable payments over a specific period of time. If your financial situation can handle the fluctuations of a variable rate mortgage, this might save you some money over time. Finally, there is a 50/50 mortgage option which enables you to split your mortgage into both fixed and variable portions. What credit score do I need to qualify?Generally you're a great candidate for a mortgage if your credit score is 650 and above. Those who have credit scores above 700 will qualify for better rates. Almost anyone can qualify for a mortgage but for those with lower credit scores may require a larger down payment. Statistics show that default rates on mortgages decline as the down payment increases. What happens if my credit score isn't great?There are several things you can do to boost your credit fairly quickly. By following the following steps you can attain a speedy credit boost! 1. Pay down credit cards - ensure that your credit cards are paid down to under 65% of your available limit. Revolving credit has a more significant impact on your credit score. 2. Limit the use of credit cards - use the card and pay it off! Make more than the minimum payment. 3. Check credit limits - if your credit card reports over the limit it makes a significant impact on your credit score. Ensure everything is up to date and all information is correct on your credit bureau. 4. Keep old cards - older credit is better than new credit. Typically lenders are looking for two trade lines reporting for two years! 5. Don't let mistakes build up - if there is incorrect information reporting to the credit bureau it can be amended by making the bureau aware of the transgressions. How much will I have to pay for closing costs? It is recommended that you have 1.5% of the purchase price available for closing costs (in addition to the down payment) to cover the closing costs. There are several items you should budget for when it comes to closing costs. Property Transfer Tax is charged whenever a property is purchased and the amount of taxes will depend on where you live. GST is only charged on a new home purchase and does not affect homes priced at less than $400 000. The lawyer will charge you a fee for drawing up the mortgage and conveyance of title.